Are people really still talking about controlling access to guns? Because that ship has sailed. On that venerable TV classic, Star Trek: The Next Generation, one of the technological developments we are shown is the "Replicator," a device that creates items or food from stored data patterns. It's implied in the series that the Replicator, which comes with its own fusion reactor and can be used to build other Replicators, is the straw that broke the banksters' backs. With a Replicator, one can make anything: A home, clothes, food, weapons (or more Replicators). In a Universe with unlimited property (an endless number of "M-class" planets) and Replicators, money—indeed, labor—is outmoded. 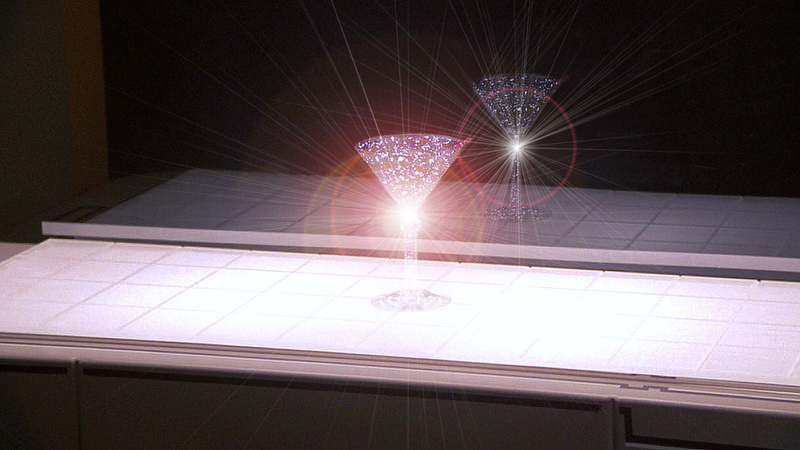 This works because of the Replicator's fusion engine, which provides enough power to actually create matter. We aren't quite there, yet. But imagine the uproar such an invention would cause! How many years after the introduction of the Replicator would banks still be trying to entice customers in with "free checking"? But, while we can not yet create items from energy, we can create them out of what amounts to Lego blocks. The technology is called 3-D Printing, and it's here, today! Expensive, yes, but I'm sure the first Replicators will be, too. 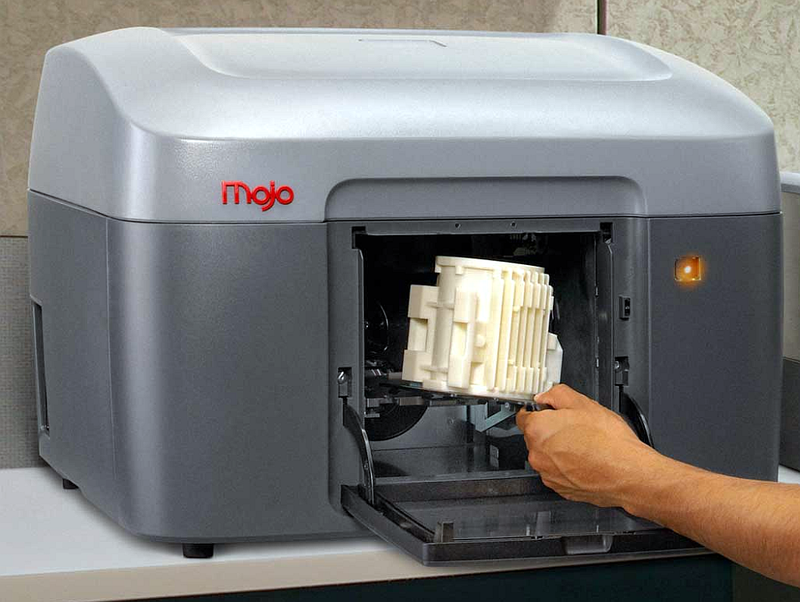 A 3-D printer can manufacture the parts for any device. The files describing the device can be originals, purchased, or shared. And once such a file exists, it can be used to create parts for one device, or for a million (although currently, 3-D printing is really only cost-effective for one or a few items). 3-D printers have already been used to create custom implants for surgical patients, as well as toys and art. The material from which the printer builds these items is supplied in cartridges, like the ink in an inkjet printer, and can itself be made of almost anything from metal-hard plastic to food. Which means that anyone who owns a 3-D printer can, if they wish to do so, "print" a gun. That gun will be unregistered. No one, not even someone else in the household, will know (unless told) that there is now a gun on the premises. And, although printing the gun parts takes awhile, it will still take less time than the "three day cooling off" period currently required in most states before buying a new gun. Now, if you're thinking that only a computer nerd (in other words, someone who's harmless) would own a 3-D printer, that might be more-or-less true today. But an article published by industry leaders in 2016 predicted 5.6 million 3-D printers will be in the hands of consumers by 2019. Currently, all gun control efforts have been procedural. Gun owners must be licensed. In most cases they cannot buy a gun without passing a background check. But all this is now moot, simply because a person who is sufficiently pissed off can simply print a gun if they want one. True, at this time ammunition cannot be printed. But let's face it, that's only a matter of time, as well. We will never be able to "control" guns. We must, instead, try to enlighten people if we wish to be safe from mass shootings. In 2007, I stated that the kids at Virginia Tech would have been safer if they'd been allowed to carry weapons to school, as they can (and I'm sure, some do) everywhere else in Virginia, including ball games and church services. What I didn't go on to say, but will now, is that guns are a part of that set of devices that are so potentially harmful, that no one should be permitted to possess one without proof of successful training. This set already includes automobiles, jet planes, and defibrillators; it should certainly include handguns, rifles and AK-47s. And yet, since we can no longer control access to guns (if, indeed, we ever could), we must concentrate on controlling ignorant access to guns. One can argue whether the Founding Fathers had AK-47s in mind when they wrote the Second Amendment; but there's no arguing that, in the late 1700s, every boy and girl had grown up with guns in the house, and had been shown from the time they could walk how to fire one, what to fire at (and what not to), and the A through Zs of gun safety. The idea of finding a person who had never before held a gun would have been ludicrous. 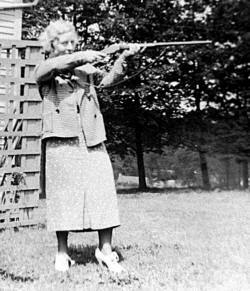 So ingrained in her were the rules of how to handle a gun safely, that Mom began inculcating them into me with toy guns, which she would never allow me to aim at any living thing. I was allowed to aim toy guns at targets, but not to play Cowboys and Indians or Cops and Robbers or any other game where the point was to shoot someone or something you didn't intend to eat. If we, as a nation, are going to get serious about security, we're going to have to—pardon the phrase—"bite the bullet" and accept the fact that no one else can do it for us. We have to keep alert and able to defend ourselves at any given moment. That's what freedom is about, and why "freedom isn't free." But a gun is not an effective defense against another gun, any more than polio is defense against the flu. Schools have drivers' education. They should also have gun education, and it should be compulsory. No one should be forced to carry a gun if he or she doesn't want to, but everyone should know how and then make an informed decision. 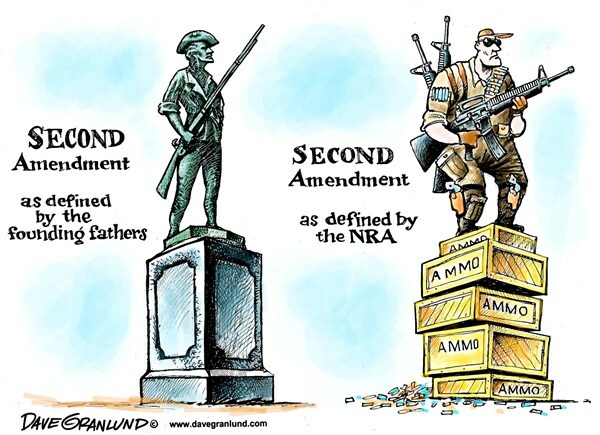 The Second Amendment is meaningless. Gun control advocates are trying to lock the barn door after the horse has gone missing. We cannot put that genie back into the bottle. Guns are here to stay. If we want to be here to stay, we will need to learn how to be safe despite the ubiquity of firearms. And I think that's what (at least some of) the Founding Fathers had in mind.